All Natural – Frankincense is derived from Nature’s own healing tree known as Boswellia sacra by steam distillation of frankincense gum resin. 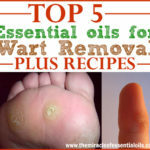 It is rich in antioxidants and nutrients that are powerful in treating a myriad of ailments, including many skin conditions such as warts and moles! Helps Dry Up the Mole Faster. Applying frankincense essential oil continuously without fail helps dry up the mole and cut off blood circulation, enabling it to fall off faster. This is because frankincense has astringent properties that tighten skin and remove excess sebum, thereby keeping skin on the mole dry. Isn’t a ‘Hot’ Oil. Another popular essential oil for moles is oregano essential oil but since this is a ‘hot’ oil that should be used with caution because it is known to give severe burning sensations when applied topically, people with sensitive skin find it too potent and unbearable to use. Frankincense is so gentle that it can even be used ‘neat’ or directly on skin without dilution. It’s Safe to Use for Moles in Sensitive Regions. As explained above, frankincense essential oil is one of the few essential oils that can be used directly on skin without first diluting it with a carrier oil. This makes it safe to be used for moles on the lips or eyelids without worrying about burns or danger when ingested (100% pure frankincense can be safely ingested in very tiny amounts without harm). However, when using for moles on the lids/eyelids, please dilute it before application. Unlike the immediate result got with surgical mole removals, using a natural remedy like frankincense oil is bound to take some time to show results. It won’t make your mole magically disappear overnight but slowly dry it up over a period of time, ideally 7-14 days. Your mole will also turn darker during the frankincense treatment so if it’s on an obvious area like your face, you can maybe do it at a time when your off work/school, stick on a band-aid or use concealer to cover it up. 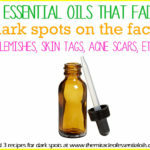 Even after the mole falls off, ensure to continue applying frankincense because it has powerful scar-healing properties! » Apply directly. 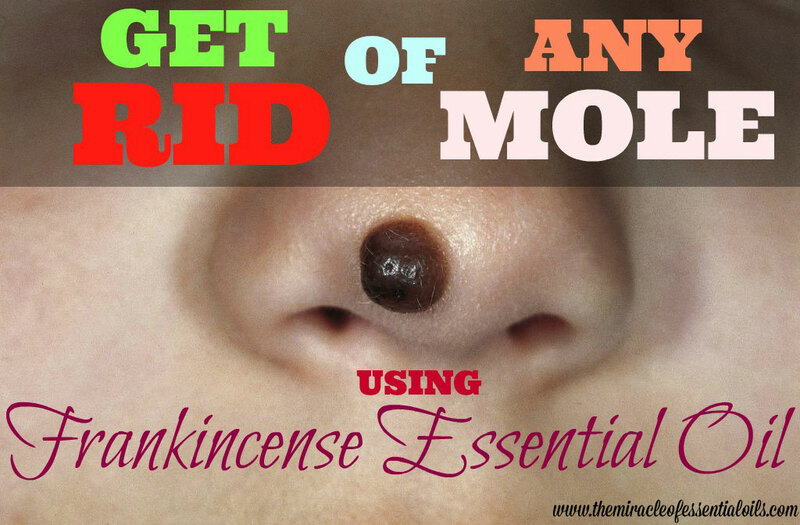 Place one drop of pure frankincense essential oil on your mole about 3-4 times a day and cover it with a band-aid. Continue this for about 2 weeks so the mole can gradually dry up and fall off. Caution: When using frankincense undiluted on a mole, make sure to protect the skin surrounding the mole by applying Vaseline, shea butter or coconut oil on it. If you don’t protect that healthy skin, the frankincense will get on it and cause irritation and burns. » Frankincense Castor Oil Treatment. Mix a pinch of baking soda, ½ tsp of castor oil and 1 drop of frankincense essential oil in a small dish and place this on your mole using your clean index finger. Leave it to dry up completely then wash the area with warm water and your cleanser. Repeat every night or twice a day. 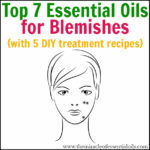 » Olive Oil & Frankincense Mole Mixture. The Essential Oil Handbook by Harding gives an effective recipe that combines 1 tsp of frankincense essential oi with 8 tsp of olive oil. Store this mix in a 2 oz amber glass dropper bottle. With the aid of a cotton ball, press the mixture on the mole gently for about 20 minutes twice daily. 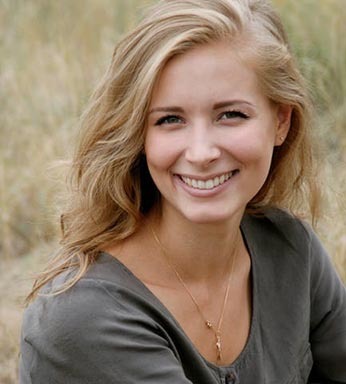 Below are some trusted natural remedies for moles that really work with countless testimonials from many people all over the world. 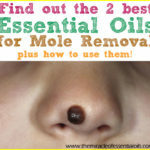 If you have more effective remedies for moles then please share in the comments below! 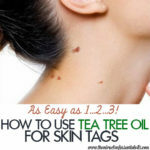 Most people see very fast results when removing moles with apple cider vinegar in as little as 3 days! 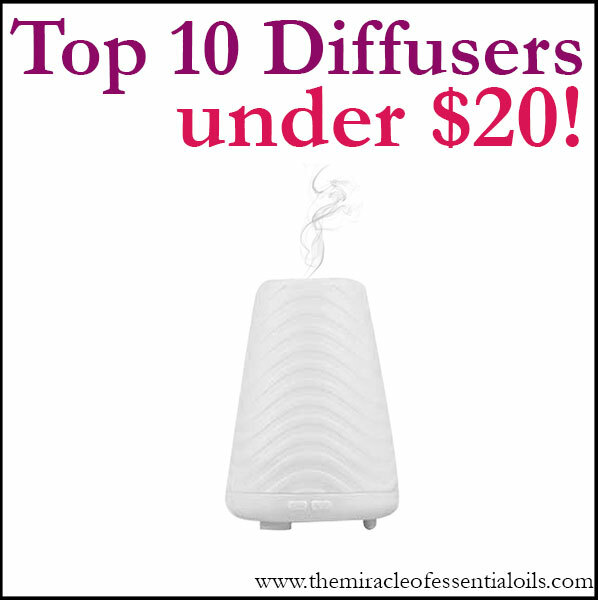 All you have to do is place a small amount of raw apple cider vinegar (with the mother) on a clean cotton ball. Remember to first protect the skin surrounding the mole with Vaseline or moisturizer to prevent it from getting burned. Now press the cotton ball on the mole and tape it with a band-aid. Leave it on overnight. Great for removing raised moles in particular, baking soda helps quickly dry out the mole, enabling it to scab and fall off easily. Baking soda mixed with castor oil is a popular and effective remedy for moles. Just combine a pinch of it with about ½ tsp of castor oil and dab it on the mole. Iodine is a powerful potion for removing moles naturally. The best part about using iodine is that it doesn’t burn like the rest of the above remedies. 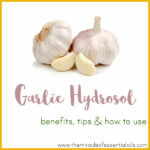 I’ve seen people using a piece of fresh garlic on their skin to remove acne and moles and I want to tell you that it’s EXTREMELY potent and can burn like crazy so in my opinion, it would be wiser to dilute the garlic by making garlic oil. Just crush ½ a garlic clove then add to it about 2 tsp of warm olive oil. Leave it to infuse for a day in a small container. Then use a q-tip to apply the oil only on the mole. This is an olden days remedy for removing oils. You’re supposed to keep applying castor oil on the mole frequently until it shrivels and gets off. Why castor oil works is because of its discutient properties that make it able to dissolve and remove abnormal growths, warts, cysts, tumors, skin swellings and others. To make the castor oil treatment more effective, add a pinch of baking soda to it. Although many cases of moles are benign, if yours is increasing in size at a fast rate or growing jagged around the edges and feels painful, it’s best to see a doctor for professional medical assessment and possible treatment options.